A plastic pipe system has a lot of uses in many types of industries. 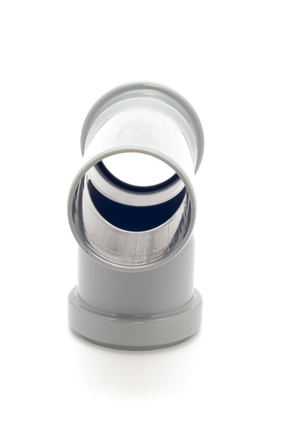 Plastic pipe is corrosion-proof, lightweight, economical and easy-to-install. With the use of plastic, users can easily create water systems, heating and cooling systems, drainage systems, and the like at an economical level. A plastic pipe system can be used to create water systems for both hot and cold temperatures. Unlike traditional pipe systems, the use of plastic pipes has the advantage of economical cost, easy installation, thermal durability, and corrosion prevention. The pipes can be used for domestic water supplies, riser pipes, gas pipes, radiator systems, and solar heating. The use of plastic pipe is gaining popularity in heating and cooling systems as well. Many homes, apartments, and other residential buildings require heating pipes to increase the temperature indoors. The pipes can be installed under the floor, on the ceiling, or on walls. Plastic pipe systems can be used for government and private industry projects, especially in municipal water supplies and drainage systems. Unlike steel, plastic does not rust and is resistant to the effects of chlorine. In addition, the pieces do not need to be welded together to create joints since flexibility is one of the best of its qualities. Welding steel pipes every few meters or so can cost a lot of money for the contractors. Hence, the use of plastic makes every water supply or drainage system project easy and economical. Plastic pipes may come in short and very lengthy supplies. Hence, if a project requires a very long continuous pipe, plastic is the best choice. Many infrastructure projects make use of plastic pipe systems instead of steel for the reason of affordability, but more so for the flexibility and ease of use during the installation and application. Plastic pipe systems are highly recommended in many industrial projects. The resistance of the material to abrasion and chemicals make it ideal for many industrial projects. Some of the best applications include pumping corrosive chemicals, industrial drainage systems, water supply lines (both hot and cold), process lines, gas lines, chemical pipelines, and more. These pipes are easy to install and can last for a hundred years. Plastic pipes are now being used for borehole applications. There are pipes developed to have diameters of over 300mm and lengths up to 300m for the purpose of being installed in boreholes. These pipes are easy to install and can last for a hundred years. Since the pipes have smooth surfaces, they have lesser chance of decreasing in internal diameter. A pipe can be purchased as a single piece to ensure continuity. In addition, it always maintains a circular shape and is impervious to damage. Aside from borehole applications, plastic pipes can be used in mining operations. In the mining industry, huge sums of money are reinvested to ensure the replacement of damaged pipe systems. Steel pipes usually get damaged due to prolonged exposure to moisture and chemicals. The pipes corrode and rust and therefore require repairs. The use of plastic pipe as replacement for steel piping lowers maintenance cost due to its unique properties.